Be nice to older kids. My son is 12, and chances are, he’s taller than you. He might even be taller than your husband. His voice has changed and his shoes are pushing a size 14 and he’s often mistaken for being much older. And tomorrow, he’s going trick-or-treating, just like most of his friends. He’s going for the same reason he did at 3, at 5, at 7 . . . because dressing up as someone else is fun, because he loves candy, and because the magic of this holiday hasn’t lost its sheen for him yet. At the intersection of boy vs. man, he hasn’t outgrown this tradition, and I don’t have the heart to tell him he should. Not this year. So I hope you will be kind to him, and other boys like him, as they go door-to-door tomorrow. There are many ways are kids are growing up too fast. Let’s let them have this childhood joy while they still can. Talk to your kids about kindness and the problem with property destruction. 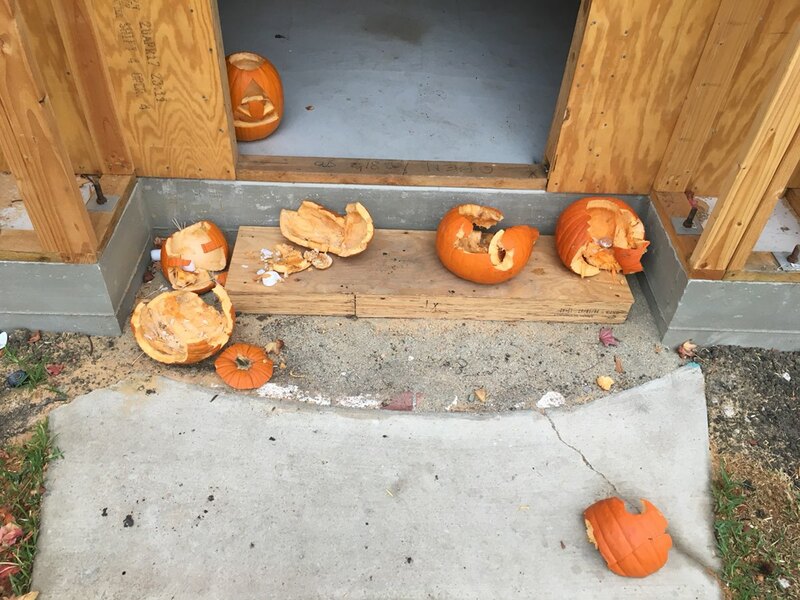 It can seem funny to teens to smash pumpkins or pull other benign pranks, but it’s not funny to the kids who carved them. We woke up this morning to find the pumpkins my kids had carefully carved broken to pieces, and it was really violating for them. Have an empathy talk, especially with older kids, about not scaring younger kids or messing with people’s belongings as they walk the neighborhood. Turn your porch light off if you don’t have candy. Really. I don’t know how some people reach adulthood without learning this social rule, but just turn it off if you aren’t gonna participate so we can move on. Don’t appropriate the culture of others for your costume. Do not dress as another person’s race. A costume should be of a character or an individual, not of an ethnicity. It’s okay to dress as a character who is another race. It’s not okay to dress up specifically as another race. For example: Tiana, Barack Obama, Moana, Doc McStuffins: okay. Geisha girl, “Indian”, an African warrior, a Mexican: problematic. And if you decide to dress as a individual who is of another race, skip the blackface. Our country has a long and sordid history with blackface, and it’s offensive . . . even if you don’t mean it that way. 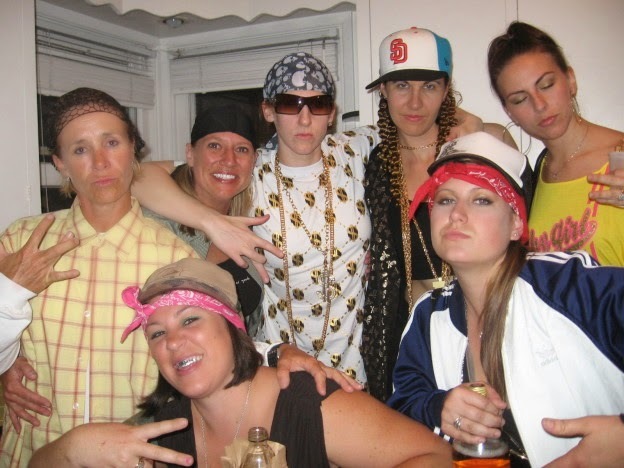 If you choose to dress as someone of another race, do it because it’s fun or creative or you admire the person. Not because you want to mock them. Don’t buy candy that supports child labor. Did you know that most commercial chocolate companies are relying on child labor to source their cocoa? The low-down is here . . . but in a nutshell a BBC documentary revealed that child labor and even child trafficking is rampant in chocolate production, and that chocolate from most mainstream candy companies can be traced back to farms employing (and even buying) children to work in dangerous conditions. For our family, the response to learning this has been to limit our chocolate purchases to fair-trade chocolate. Buying fair-trade is the best way to ensure that chocolate has been ethically sourced, and it also sends a message to mainstream chocolate companies that there is consumer demand for Fair Trade Certified chocolate (which is ultimately what will lead to change). Buying organic is reportedly another way to ensure that your chocolate wasn’t produced by exploited children due to the checks on labor practices organic certification requires. Additionally, organic producers often receive higher payment for their goods than those who don’t use organic methods.